If a recent report from Droid Life is to be believed, AT&T's GoPhone plans are about to include even more data at the same prices. Update: AT&T has officially announced the GoPhone data allocation bumps discussed in this article. 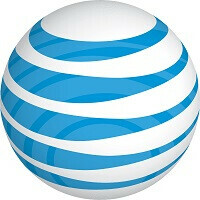 Just a few months ago, AT&T started including more 4G LTE data in its prepaid plans. At the moment, AT&T GoPhone offers a $45 plan that includes 2GB of data and a $60 plan that includes 5GB of data. Although less than a couple of quarters have passed since then, a recent report from Droid Life quotes insider sources claiming that AT&T is about to include even more data in its prepaid plans without raising the price. Allegedly, the $45 plan will soon include 3GB of data per month while the $60 plan will get bumped up to 6GB per month. Given the proportions, the extra GB of data would be more beneficial for those on the cheaper plan. AT&T is expected to continue offering the $5 autopay credit to those willing to set up an automatic payment system. If the insider sources quoted by this report turn out to be fully accurate, then AT&T should start offering the updated GoPhone prepaid plans on May 25th. As such, an official announcement is probably right around the corner. While the exact details of the plan are currently unknown, those on the current GoPhone plans should automatically hop on the updated plans starting with the next billing date. What do you guys think of the possibility of AT&T adding one more GB of data to its GoPhone prepaid plans without raising the price? Wouldn't the $45 plan instantly become a much more tempting offer for midweight data users? I'm on the 60 buck plan right now and I really enjoy it. The rollover data is the clincher for me.The more data the better so thanks AT&T!